The Living Land: Soil is the Core of Civilization! Only 10-12% of the earth’s surface is available to use. We need to maintain the soils natural capacity to renewal. It took the earth thousands of years to create this lovely soil that gives us life! It takes a long time for rock to become soil. We can’t grow produce out of rocks! We can’t grow produce out of dead soil! The soil we see and use every day is soooo alive it’s unbelievable what communities’ microorganisms share all around us. It’s a complicated network of organic communities. The things we can do to maintain these organic networks to maintain fertile soil and future generations of life are so simple. Yes, it sounds contradicting, how can such a complicated network of life only need minimal attention? Nature on its own is already self-sustaining, and knows what works to maintain the circle of life (thanks Lion King). As humans we are a part of this circle of life and we can either be parasites or in harmony with the natural process taking place. And it starts at the most basic levels like recognizing the importance of dirt, and building a relationship nature! 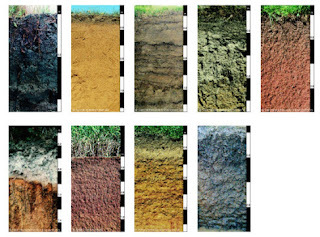 Soil is awesome! Love it! Appreciate it! Plant lots of seeds and trees! Conserve the soil, let’s avoid desertification across the globe, and minimize global warming affects… Please?